The first time I heard of Centopia, was when Little Miss I and her carpool buddy Mr. J were chatting away on the back seat. She claimed that she really was from this place called Centopia, and her friend said he actually was from Mars. 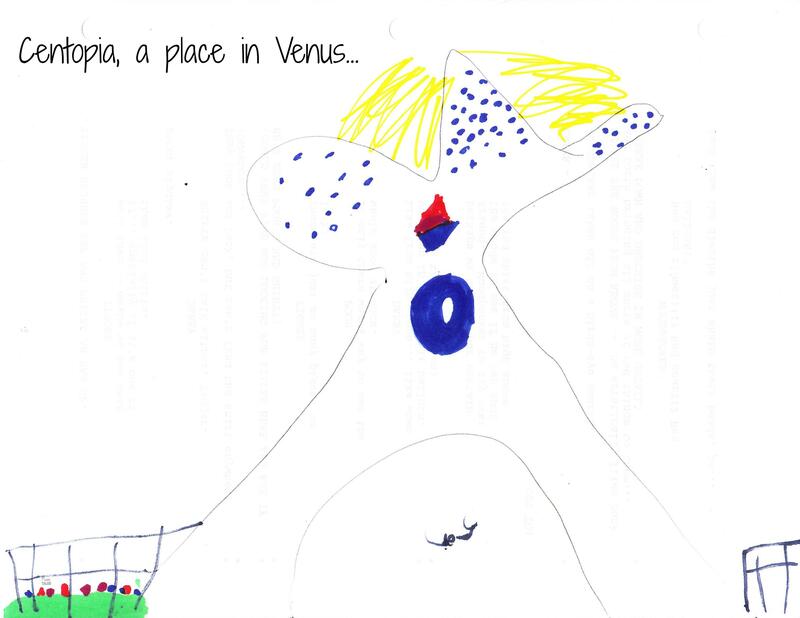 I asked Little Miss I were Centopia was, and she claimed it was on planet Venus. She then told me the place had been destroyed, so she had to leave. But both her brother (Tiny A) and her were originally from there. Yesterday she said that she had traveled all the way from Centopia as a little seed that I swallowed, then she grew in my tummy and was born as my baby. As my little fairy looks nothing like me, I don’t doubt that might actually be the case! It was yesterday as well that I learned Centopia was not a figment of my child’s imagination… but the place where a Nick Jr. TV show she likes is set (Mia and Me, if you need to know). Ever since she had access to her own computer on her own time, I have had less control of what it is she’s actually watching. She has all sorts of locks and parental controls on the sites she’s allowed to visit, but I’m not so familiar with the content she’s watching anymore — all I know is that it is age appropriate, but that’s about it. I used to watch the shows she used to like, so we could talk about things that sparked her curiosity… but since Tiny A arrived to our lives, I tend to play with him as she watches TV, so he’s not in front of the screen. And it is also true that with homework and violin practice, Little Miss I also has very little computer/TV time every day. Nonetheless, I’m very much aware that what she sees, reads and likes colors a good part of her imagination (like marrying Centopia with ice houses, straight from Frozen). In any case, after I heard about Centopia and its link to a show, I immediately hopped on the web to find out what this show was about. What do you let your children watch? Is there any show you absolutely avoid? Tagged Acting, Family, Inspiration for Kids, Reviews. As you know, I don’t have human kiddos…BUT the dogs LOVE anything on Animal Planet and Discovery. Haha. We can’t watch shows with horses, though, because Pierre goes nuts barking at them. Thankfully, there are plenty of other shows they enjoy. I think your daughter’s Halloween costume choices are fantastic! Cheers to her choices being unique, thoughtful and historically substantial! We are still fairly good at monitoring what the kids watch- and check them often for stretching the rules now that they are older. (they watch minecraft tutorials and some are made with teenagers who use ‘language,’ Shows we avoided when they were younger were – power rangers, pokemon, and cailliou. As someone who was is in Child care Power Rangers tended to cause problems despite the programs encouragement not to act out the battles, pokemon was just a big commercial as far as I was concerned, and we just couldn’t stand Cailliou -and still can’t. Ha! I remember all those… Thanks for your reply! I know it will be a completely different set of shows that I watch (or not) once my little boy is older too! I have to say I’m not familiar with Calliou, though… I’d have to watch it to see why you hate it so much!